Welcome to the e-Book Cover Design Awards. This edition is for submissions during August, 2016. James Egan submitted What She Fears designed by James T. Egan of Bookfly Design. JF: Dizzyingly poetic and evocative of the story inside, all at the same time. Many subtle touches throughout this design. The expert typography, inviting scene, and mysterious red ribbon, fully integrated into the title, combine to create an irresistible cover. Don’t you want to read it? JF: Delicacy and balance are part of the attraction of this cover, and the one touch of color skillfully directs us to the emotional heart of the message. JF: I like this cover, although the bottom illustration is a bit complex, and the series branding surrounding the title is way too strong, minimizing the effect of the title. JF: I think you had a really strong concept but a lot of its potential remains unrealized. JF: All that might work if we could get past the truly alarming and discordant type everywhere. JF: There may be an incongruence between the title, which is active and almost aggressive, and the placid visual. The typography is also weak. JF: That’s a real challenge for a designer, but this one succeeds, helped by the effective title treatment, and one in which the embossed effect is used to make the type stand off from the background. JF: A very strong sci-fi illustration combined with lackluster typography. Andrew Dawson submitted Alien Love Story designed by Andrew Dawson. JF: Pretty funny, but it does grab your attention. Do aliens like beanies? JF: A graphically sophisticated cover that, unfortunately, falls down on the job of communicating the appeal of the book. JF: A strong illustration and layout compromised by the gratuitous and distracting treatment of the title. JF: I agree, and I think you should be pleased. JF: This illustration is even more dramatic and engaging, but the title could use a bit more contrast with the background. Basil Bacorn submitted Sealing Death designed by Basil E. Bacorn. JF: No idea what this book is about or, frankly, why one should care. JF: Nice concept of the building evolving, but you do realize none of the characters actually appear on the cover, right? Although the title is unique, it lacks impact and is basically being crowded out by the illustration. JF: I especially liked the warm colors used on this cover. Along with a delicate texture in the background and the always-intriguing “woman walking away from us” meme, a very nice cover. JF: Strong typography and imagery, although I find the composited images confusing, and I don’t think that’s a good thing. Chloe Garner submitted Portal Jumpers designed by A Horse Called Alpha. JF: Oddly incongruent typefaces and a somewhat abstract image don’t add up to much. Curiosity Quills Press submitted Mer-Charmer designed by Amalia Chitulescu. JF: A lovely cover with lots of story that looks like it was reduced from the paperback original. Curiosity Quills Press submitted The Curse Servant designed by Dean Samed. Curiosity Quills Press submitted Cogling designed by Mandie Manzano. Curiosity Quills Press submitted The Deathsniffer’s Assistant designed by Amalia Chitulescu. JF: Great use of lighting to up the drama on this cover, very stylish. Curiosity Quills Press submitted A Taste of Death and Honey designed by Kerry Hynds. JF: Great combination of delicacy with a hint of menace from the skulls in the butterfly’s wings. Curiosity Quills Press submitted Inconceivable! designed by Matt Phillips. JF: A little confusing due to the many elements and effects all competing for our attention. And generally, punctuation is not used in titles. Curiosity Quills Press submitted Broken Dolls designed by Eugene Teplitsky. 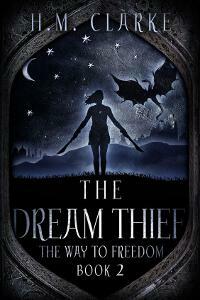 JF: Most of the impact of this cover is from the creative illustration that expresses the theme of the book. Great combination of art and typography to create one, unified image. JF: A pretty basic genre cover, but with some awkward typography. JF: Better than No. 1 above due to better contrast and tighter focus. 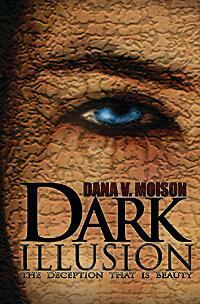 Dana V. Moison submitted Dark Illusion designed by Dana V. Moison & Nir Vidas. JF: The strong image isn’t actually. . . attractive, and the type is poorly handled. 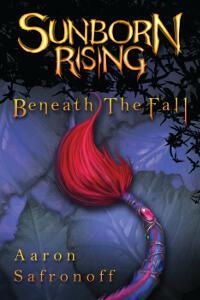 Dane Low submitted Almost Midnight – Three Classic Fairy Tales Retold designed by EbookLaunch.com. JF: Delicate and effective, leads us right down the mythic path. The title might stand out a bit more if it wasn’t so close in color to the foliage. Dane Low submitted Parasite designed by EbookLaunch.com. JF: Irresistibly sets the stage for the story with the combination of the spaceman image and the threatening slug-line at the top. Dane Low submitted The Beauty in Darkness designed by EbookLaunch.com. JF: Perfectly expresses the idea contained in the title, and perfectly focused. Dane Low submitted A House Made of Bricks designed by EbookLaunch.com. JF: Great example of how good design doesn’t always rely on fancy fonts, dramatic images, and weird text effects. 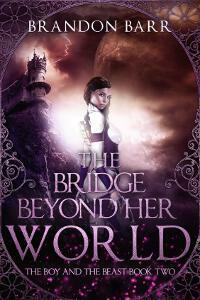 Here again, the entire cover expresses the idea in the title in a very natural and approachable way. David Brush submitted Induction designed by Jake Clark. JF: A cool idea and a lot of nice details, but overall there are so many elements I’m not sure it all comes together. JF: It’s always hard to categorize books like this, and because it uses a fictional story as its foundation, we’ve put in the fiction category. 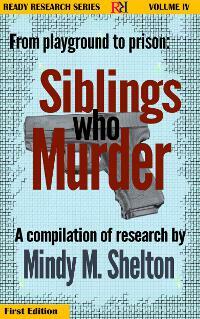 Of course, the problem with that is the cover looks like nonfiction, not fiction. In addition the design is choppy, hard to read, and harder to make sense of. I suggest going with a professional book cover designer to come up with something that does a better job of communicating. JF: Obviously skillful, but the impact is lessened because that central image is unidentifiable. What is it? JF: It’s working nicely. The illustration draws us into the story, and the overall air of mystery is palpable. Series type may be a bit too attenuated. Deborah Coonts submitted Wanna Get Lucky? 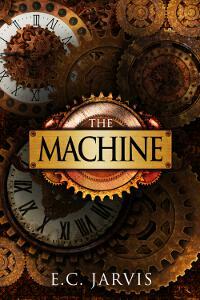 (The Lucky O’Toole Vegas Adventure Series Book 1) designed by Andy Brown. JF: A plucky bit of surrealism. E.C. Jarvis submitted The Machine designed by amygdaladesign.net. JF: A finely detailed design that looks just right for this book. JF: Artful, and I love the use of perspective. JF: The broken red glass as a heart is very effective, nice job. JF: Great image composite that’s well balanced, allowing both images to play together. And this is a good place to use the interlinear subtitle. Ember-Raine Winters submitted Born To Resist designed by Nicole Wenner. JF: The exact opposite of What You Don’t Know, above. This is confused, unreadable and in the end, ineffective. JF: A raging Cajun, eh? Strong typography and good impact. JF: A powerful, yet subtle, cover that’s carefully balanced to achieve its effect. JF: The scene-setting is definitely the strongest part of this cover, although the transparency of the title makes it a bit hard to read. JF: A lot to like about this cover, but the marked difference in visual styles between the graphic and the ornamented title is distracting. JF: A strong illustration holds its own against the overworked type, but bear in mind the main character could be anything that has a tail, for all we know. JF: I don’t think objects symbolic of story elements really work unless they form some part of an overall concept, and that seems missing here. JF: And it’s well integrated here. But again, no one else knows what the symbol is or means until they read the book, so it has limited appeal except as a decorative element. James Egan submitted The Golden Spider designed by James T. Egan of Bookfly Design. JF: The layered texture helps to keep the elements together, including separate type elements. Hey, doesn’t that fellow look like Jeremy Piven? James Egan submitted Powder Trade designed by James T. Egan of Bookfly Design. JF: A strong cover that promises lots of action and excitement. Here the hero is potential energy framed by the careful type. Also note that the series branding at the bottom is both readable and legible without being distracting. Jean Gill submitted More Than One Kind designed by Jessica Bell. JF: I like the strongly graphical look of these covers, but the first is clearly better. The background imagery is meaningless, rendering it as merely a texture, and that’s something we don’t have to interpret. Very stylish, with nice type handling. Jean Gill submitted No Bed of Roses designed by Jessica Bell. JF: Here the main figure has been pushed into the background treatment and the ancillary elements are given full-strength which, honestly, makes no sense to me and creates a cover much harder to decipher. Jean Gill submitted One Sixth of a Gill designed by Jessica Bell. JF: I’m not quite sure what to make of this cover for a very personal collection of stories and poems, but it does stop you in your tracks, and maybe that’s exactly what was wanted. JF: Nice job, and if you simplified the title type, it will work in thumbnails even better. Jennifer Palmer submitted Alphabet Buddies designed by Jennifer Palmer. JF: These covers have a charming amateur quality to them, but they don’t look of commercial quality. By the way, we usually include the author’s name on the cover. JF: I see your idea and some of the work that went into this is evident, but I find the image confusing and the title is disappearing against its background. JF: She looks downright radioactive, but I think it does what you want it to. JF: This is a very common situation in which a skilled graphic designer brings those skills into book cover design which is much more tied to conventions. Obviously the designer is skillful, but the big fail is that the book looks like nonfiction or a corporate publication, and has no trace of what must be the excitement and drama in the story. JF: I tend to like these books, but here I find the difference in drawing styles between the girl and all the other drawings disturbing, and the branding has been given more prominence than it likely deserves. 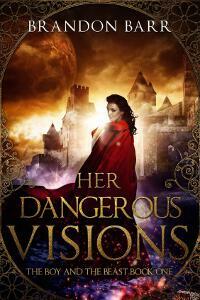 Why make us interpret all that before we even get to your cover imagery? JF: Checks the boxes for a genre cover, but I think the splotches on the title detract more than they add. JF: I really like your touch with type, and that’s not easy to do. Having said that, this cover looks a total miss to me. I don’t see a trace of magic or anything else that would interest a browser in the least. It lacks a hook. Kevin Kane submitted Cumulus designed by Kevin Barrett Kane. JF: Okay, let’s guess, shall we? A Rorsharch drawn by a computer? Two anvils belly to belly? A yin-yang created out of surfboards? You tell me. JF: Cosmic fantasy action, nice. Notice how the designer hasn’t used lots of different fonts for the different elements, and that helps unify the entire cover. JF: Strong environmental covers for the series with attractive heroines who are highlighted by the light behind them, a good technique to focus attention. JF: Another well focused fantasy series with distinctive framing device and consistent imagery over all the titles. JF: A strong cover but I don’t see sci-fi or fantasy, could be a standard thriller. JF: This is an interesting and tightly designed cover, why interrupt our appreciation of the atmosphere, the brooding man, the excellent typography with that turned up page corner? It’s the brightest thing on the cover and, consequently, makes us look at it. How does that help? JF: Strong series design, and here, where only one word is concerned, the heavily textured title treatment contributes to the branding and style of the book. JF: A riveting image, would like to see the title with more emphasis. JF: The depressed palette has eliminated almost all the contrast. JF: I love the atmospheric quality to this cover, it really draws you in. JF: The violence is evident. Interesting choice to use yellow—a “spiritual” color—for the typography. JF: Composition might be improved by focusing more on the girl, and the type needs to be stronger. Matt Mikalatos submitted Capeville: The Death of the Black Vulture designed by M.S. Corley. Melanie Munton submitted Playing for Kinley (Cruz Brothers #1) designed by Mayhem Cover Creations. JF: A solid genre cover that makes its appeal obvious. JF: A tough challenge, but the image does make you stop, and that’s half the battle. 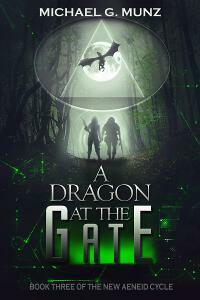 Michael Munz submitted A Dragon at the Gate designed by Amalia Chitulescu. JF: Might have worked better if the top element was smaller, allowing the 2 figures at the center to capture our attention. Michael Z submitted The Six Samurai of the West designed by Michael Z.
JF: Visually confusing bordering on headache material. JF: Overall the cover weak, and the type at top and bottom is unreadable. 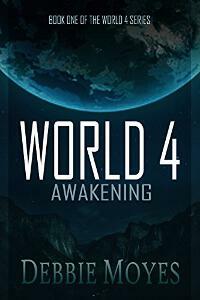 Michelle Rene Goodhew submitted World 4 – Awakening designed by Michelle Rene Goodhew. JF: Solid sci-fi cover with a nice feeling of impending doom. JF: Intriguing, even cosmic, but I keep wishing they didn’t put that lion there, it would be so much better without it. Throw the symbolism under the bus! JF: Mike, I bet a professional cover designer could use your photo as the basis of a novel cover, but it isn’t this. MJ La submitted Nowey Discovers designed by MJ LaCroix. JF: Cute and fitting. At this size the type in the bottom left is very hard to read. JF: Good, but still hard to contain all that symbolism, and the complexity of the type isn’t helping. JF: The colors are good, but we can’t really engage with the couple, who are too remote, and the title type isn’t holding up well. Rena Hoberman submitted Reign of Ashes designed by Cover Quill. JF: The framing device would work much better if it was toned down. There’s no logical reason to make the least important element the brightest, too. Rhys Hagan submitted Hunting Taylor Brown designed by Rhys Hagan. JF: A completely inappropriate look for a book promising voyages into the unknown, because this is one of the best known sites in the world (Taj Mahal) and one of the most-often used views of it. Sára Mikkelsen submitted Alheimsins einglar (angels of the universe) designed by Sára Mikkelsen. JF: I don’t know about your market, but in our market this would be a nonfiction cover. JF: Good art, layout, and typography. But the palette desperately needs at least a splash of color to bring it to life. How about red sneakers? JF: Much more suited for 12+ than 9, I like the cinematic feel of the illustration, but that series brand feels like it’s squashing the title. JF: Pretty cool, but how come you didn’t tilt the title to match the red band? It’s like a beacon. JF: You certainly got that, but what happened to the bottom? The script type is at war with the other 3 fonts used in a small space, and also at war with the indecipherable imagery crammed into that long box. Doesn’t makes sense, because the rest is quite good. JF: The image could work, but the cover looks oversimplified and there’s usually a readability problem with dark red type on a red background. Tatiana Vila submitted The Sinner’s Saint designed by Tatiana Vila. JF: The disjointed and slightly surreal images contrast deliciously with the evil lurking above. Thorn Osgood submitted The Reclamation designed by Designs By Rachelle. JF: Amusing considering the dystopian environment. JF: And yet book cover design is a specialty that’s often critical to a book’s acceptance, and sales. This doesn’t look like a book cover. JF: You know, it does have an assembled look, and many of the elements remain unintegrated with the rest of the cover. JF: Exactly. And compared to the title above, this one, although still a bit raw, is fully integrated and illustrates the main action of the book. JF: I like your description better than the result. Your cover lacks impact and is sending lots of mixed signals. For instance, the red object I believe is a car, is the strongest element on the cover, and yet one of the least important. Why? JF: Graphically appealing, needs a border to look like a . . . book. JF: It works, and the photo gives it verisimilitude. JF: Gives the (accurate) impression of being “designed” by an amateur. Is that the impression you’re trying to create? Christian Matlock submitted The Truth Hurts designed by Christian Matlock. JF: What would happen if you gave the same design brief as “The Dating Mirror” to someone untrained in design. JF: The color and texture variations aren’t handled smoothly, and the overall effect never comes together. JF: Better because it’s simpler, but still fighting with itself. JF: A beautiful cover with a unique visual, but one that would be most effective for a print book, not an ebook because all that little type is going to disappear. JF: The descriptions sounds like it’s exciting to potential readers, but the cover is uncommunicative and dull. Scott LaPierre submitted Marriage God’s Way: A Biblical Recipe for Healthy, Joyful, Christ-Centered Relationships designed by Scott LaPierre. JF: The image is so ghosted out it has little impact, and the rest is uninspired and pretty boring. Marriage and God are both rich topics, but that doesn’t show on this cover. JF: The unmistakable “self-published” look. JF: The image isn’t bad but the typography would have to be a whole lot better to make something attractive out of this. Joel, I appreciate the amount of time you put into these awards. Regarding the cover for ‘Frontier Defiant’ I should point out that while the the illustration (which you liked) was actually done by Jade of Steam Power Studios, the design of the title (which you didn’t like) was by Ross MacLennan who was commissioned to match the title design of the previous two books in the series and did so perfectly. I suspect I failed to make the separate responsibilities clear in our submission. Andrew, thanks for the added information. I looked at the cover again, and while there are good reasons to make all the titles in a series match each other, I stand by my comments on the typography. Good luck! Quite understand Joel. Typography is quite personal, but oh so important. As I said I appreciate the time you put into these awards, and certainly your comments have been taken on board. Thanks for the educational and astute feedback, Joel. Although like art, book design is very subjective, I can see from your comments that sometimes simple is best! Keep up the great work, we appreciate it! Warmly, Tanya Freedman w/a Gloria Silk. 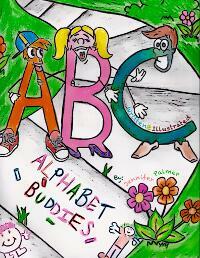 I believe “Alphabet Buddies” does have the author’s name on the cover. Right you are, Adira, thanks for the correction. I’d still like to see them more readable. I’m with you on that! I have squint lines from finding it. On “No Bed of Roses”, I think the roses are the main focus, and the face is ancillary. I probably would do away with the face altogether to eliminate the confusion. Thanks again Joel for doing these every month! Some great covers this month to get inspiration from! Just so you know: The item in Veterans’ Affairs is a helmet with a gas-mask attached to it, both are on fire. At least, I am pretty sure that is what it is. CB, I believe you. I actually looked at an enlarged version and guessed that must be what it was, but why make readers guess? You’ve only got a few seconds to connect, and confusing graphics aren’t going to help. I completely agree. While it is a good idea to keep the reader guessing, it is probably best to keep that for the inside of the book! Re Eliot Peper’s Cumulus; that’s a picture of a church in San Francisco if I’m not mistaken. Shane, I believe you’re right, it looks like Grace Cathedral. However, that doesn’t help things much. Well done to James Egan at Bookfly Design. I first saw his work about two years ago (either here or over at Writer’s Cafe) and his design sensibility is the one I most gravitate toward. Within six months I hope to enlist his services myself. Groan. I dread each month’s “state of the covers.” Depressing, to say the least. If I were to die with some of these covers in my possession, my corpse would crawl away to avoid any post-mortem association being made. Many look like they’ve been through the washer too many times—either too much or too little saturation. Others look like their designer has never consulted a list of colors that don’t go well together. I’m indifferent to clothing style, but even I wouldn’t walk out the door with some of those color matches. There are other good designers, but those stand out. As I’ve said before, if you’re an author, I recommend that you check the bestseller list on Amazon or the displays of popular titles at a large bookstore. When a major publisher wants a cover, it can hire the best talent. Use their covers as models for your cover. 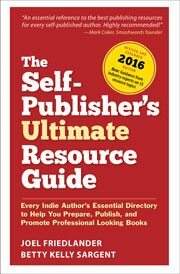 Take particular note of the bestsellers in your writing genre. Here’s Amazon’s bestseller list for 2016. I’m sorry, but I can’t agree with you. Apart from the S.A. Hunt and Amalia Chitulescu covers, the ones you recommend are very weak. I am going to have to agree with your disagreement. Okay, I’m going to call it. I think this month’s winners may be the best we’ve ever had. They are both quite brilliant, in conception and execution. I’m jealous both as a writer and an occasional cover designer.